In brief: The amount of money being spent on video games is continuing to rise, especially in the US, which saw record revenue for the industry last year. According to the Entertainment Software Association and the NPD group, gamers helped generate $43.4 billion in 2018, marking an 18 percent jump over 2017’s $36.9 billion. Software sales, including in-game purchases and subscriptions, made up the majority of the revenue—$35.8 billion. 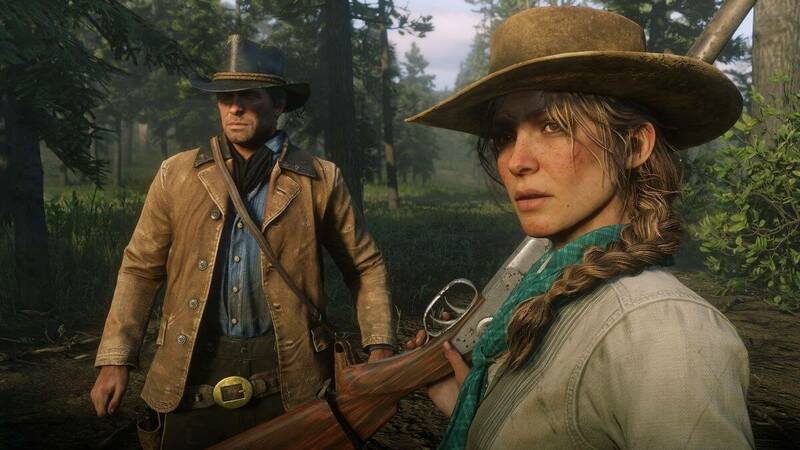 The best-selling game of the year in the US (based on physical sales and those from select digital partners) was, unsurprisingly, Red Dead Redemption 2, followed by Call of Duty: Black Ops 4 and NBA2K19 in third place. Several platform exclusives were top-sellers last year, including God of War, Super Smash Bros., and Marvel’s Spider-Man, all of which encouraged console growth. You can see the full list at the bottom of this page, along with the best-selling games for December. Hardware sales, which includes peripherals, brought in $7.5 billion, up 15 percent year-on-year—and that’s despite a lack of major console releases in 2018. The Nintendo Switch was the top machine in terms of both units sold and revenue. “Whether it was playing on the go on a mobile device or at home on a PC or console, consumers of all ages and interests found compelling content that delighted in 2018," said Mat Piscatella, video games industry analyst at The NPD Group. "Console, PC, and mobile platforms all saw significant growth, while developing portions of the market like subscription and streaming services gave us a peek into a future full of possibilities for the industry and gamers."